The first steps of my new project whose name is "UAC Missions: Walking to Hell". 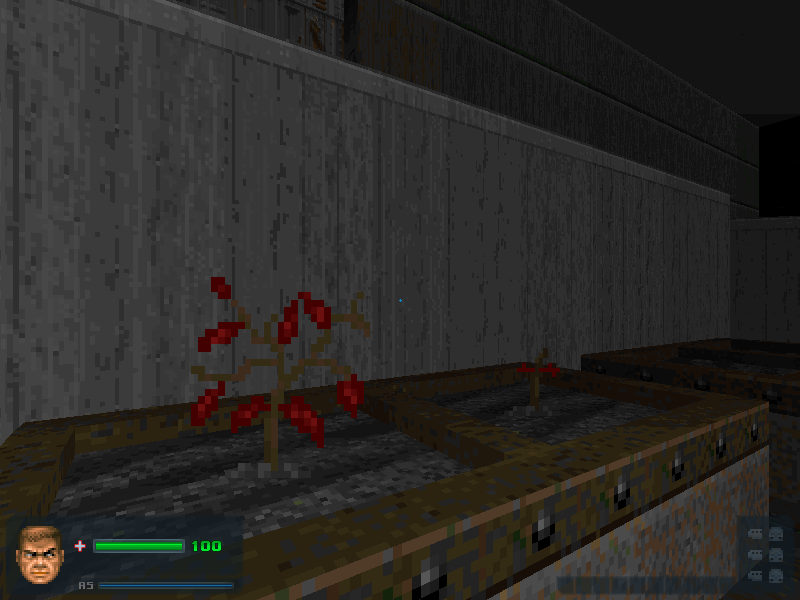 In this project, i only using the original textures from Doom 2 and is for the format "Boom/Doom 2". I speak spanish so, sorry for my bad english. Last edit: 4 years 3 months ago by Diabolic Lord. I'd suggest trying to get a bit less orthogonality in there. Rotate some of the loose crates, round a bit the edges of the ceiling lamp things, etc. Blue Shadow wrote: It looks great. Gez wrote: I'd suggest trying to get a bit less orthogonality in there. Thanks for the tip Gez, considers it. Does it actually grow using a script or some such? That might be kind of neat, especially if used as some sort of map action. That possibility reminds me for some reason of some of the odd environment puzzles from, say, Resident Evil. MagicWazard wrote: Does it actually grow using a script or some such? Yup. You go up to these... "containers", you press your "use" key to plant a seed (if you have any), and then you let it grow. When the plant is fully grown, you can use it to heal yourself. That surely reminds me of Ultima Underworld's Silver Sapling seed plants: they were used for respawn the Avatar near them, and it grew only in some magical dirt. Anyway, just to have advertise some of my projects (that for now are really freezed, working on BoA), this is an old movie of my project Gore, that will require so much effort to finish. Oh, but I'll do it.